From a contact lens to a car component and everything in between, these gold Jiffy Mailmiser bags offer lightweight and bubble-lined protection for all your small valuable or fragile goods. 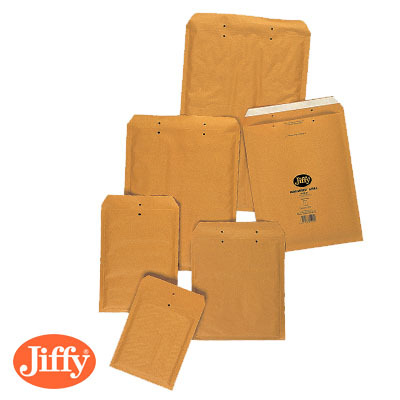 Twelve Royal Mail PiP compliant sizes available from stock for same day dispatch, with strong self seal strip. 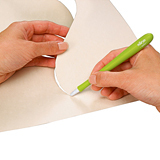 The strong peel and seal strip ensures speedy and secure tamper evident closure – ideal for mailing CDs, DVDs, books, jewellery and small gifts. 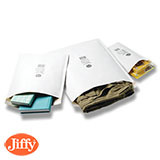 Jiffy Mailmiser bags are a popular and trusted item sold in packs of 100 and 50 to ensure you get the best possible price.